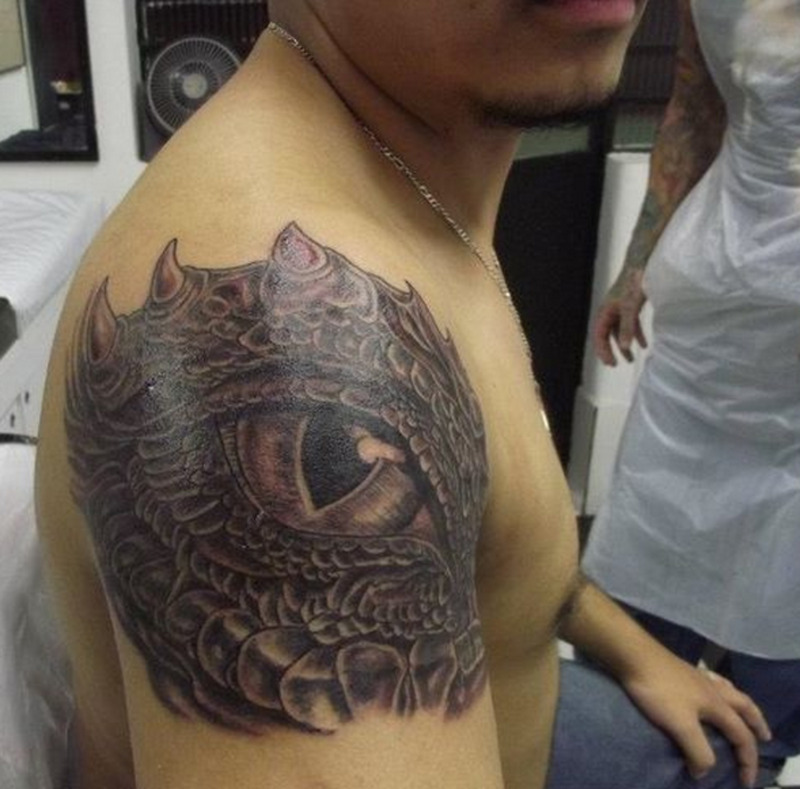 The dragon is a popular and powerful design worn by both women and men, and although it can be designed in various sizes, the detailing and shading involved in most depictions often make this tattoo a larger-sized project. 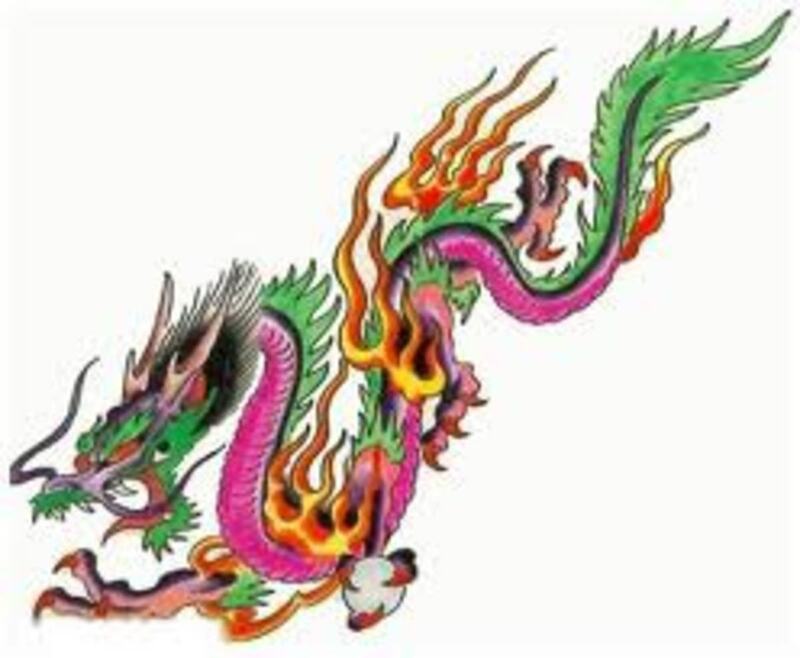 Some of the attributes and traits associated with the dragon are strength, courage, and independence. 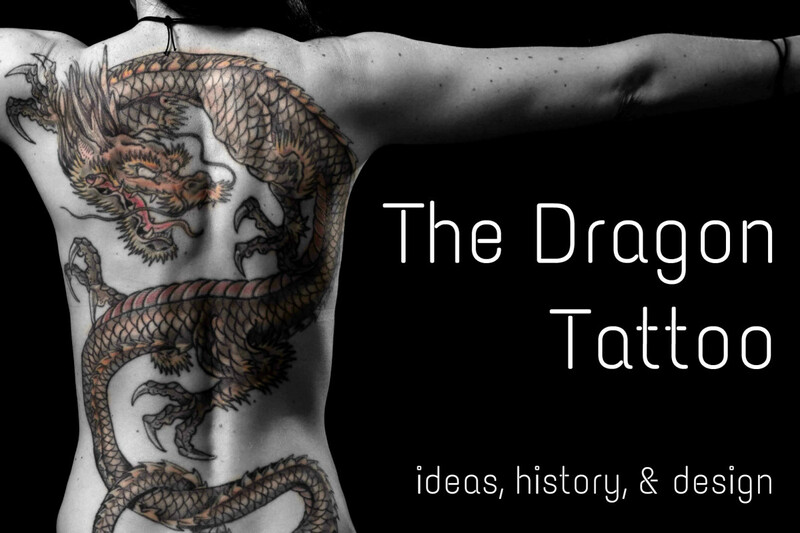 In this article, we will discuss designs and review the meanings of the dragon tattoo, and you will have the opportunity to view a wide variety of photographs. 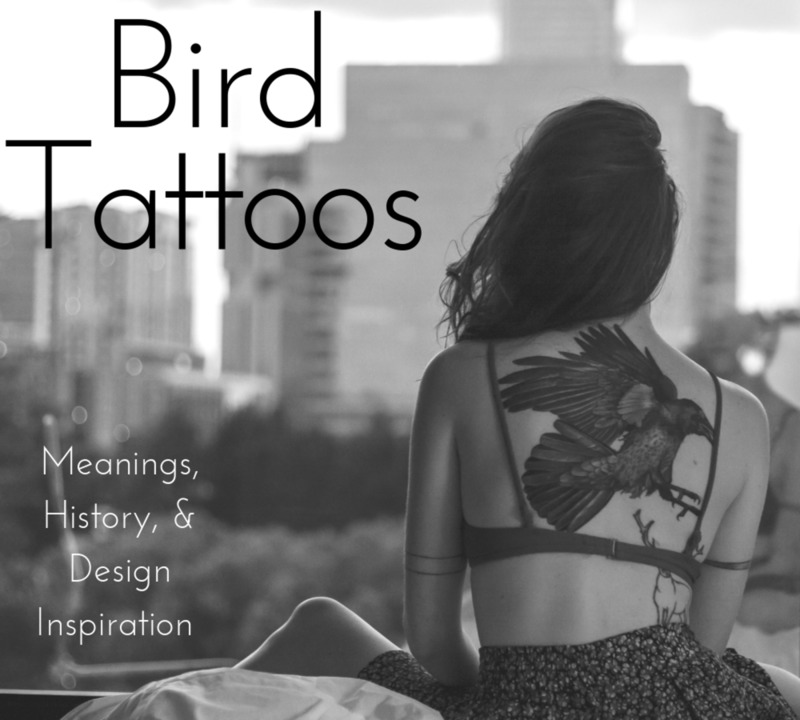 We hope that you are able to find ideas and inspiration for your next tattoo. 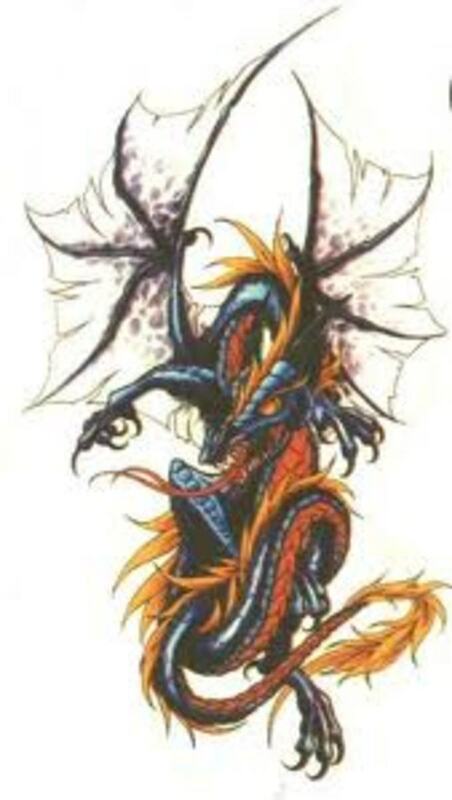 Dragons are one of the most legendary creatures in the history of mythology and folklore. 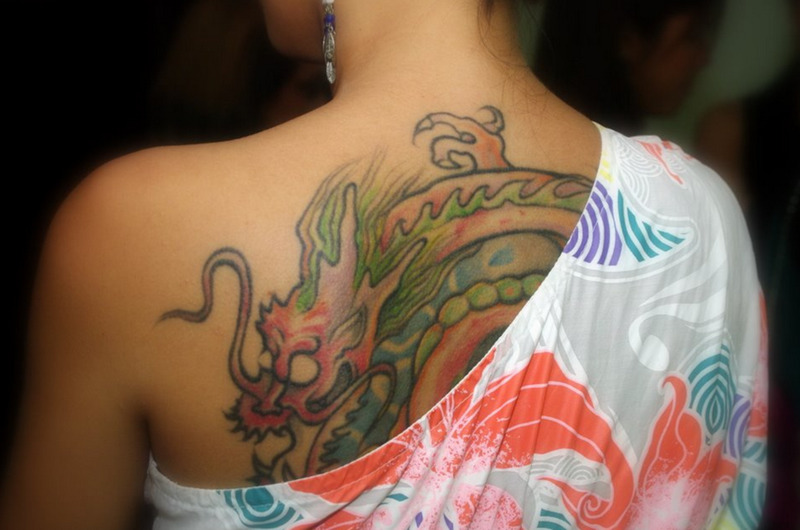 Dragons are a part of the historic culture of China, Japan, Vietnam, and many other countries. According to most Eastern civilizations, dragons were noble creatures with distinct honors and powers, while in the mythologies of European civilizations, they were usually considered evil and dark. 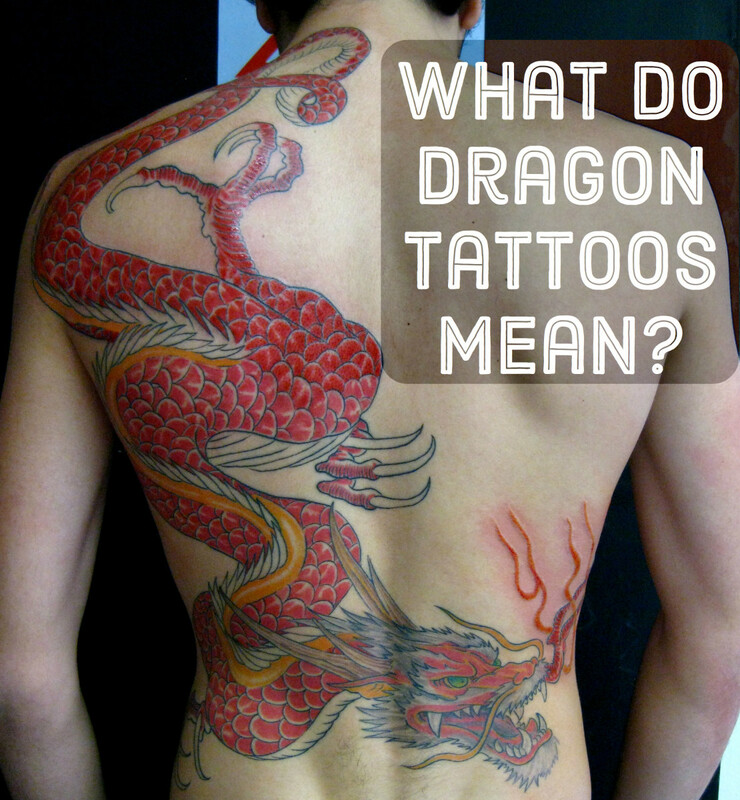 The symbolism of dragon tattoos cover a wide range of meanings. One civilization may consider dragons a symbol of strength and wisdom, while another may consider them to be greedy and a bad omen. The Chinese (representing wisdom, good luck, and goodwill), Japanese (representing balance), and Celtic dragon styles (often shown with crowns and thrones depicting power and strength) are among the most popular. The Eastern dragon is seen as a noble beast which offers wisdom and protection while in ancient Western culture, it represents a much darker and more threatening creature. However, both are usually depicted as a very intelligent creature free to roam wherever it wishes. 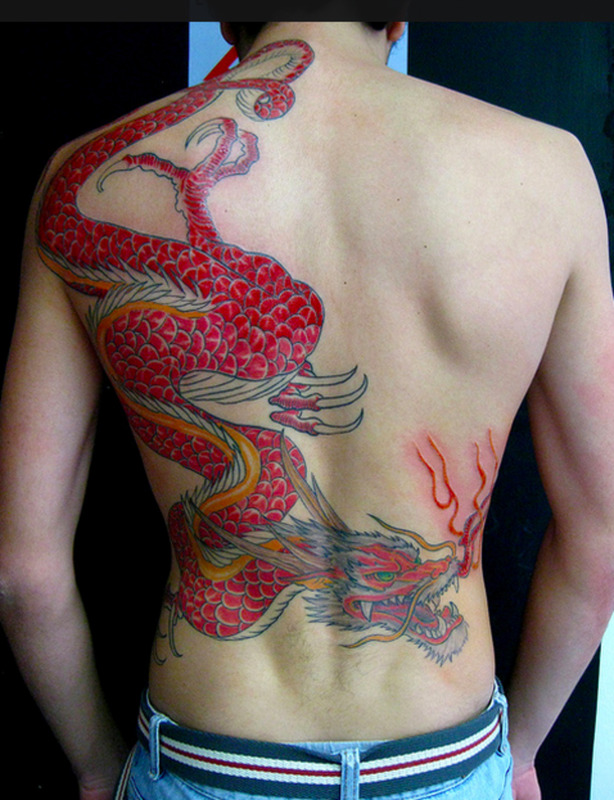 Thus, the dragon tattoo can also depict the freedom of your soul or life. 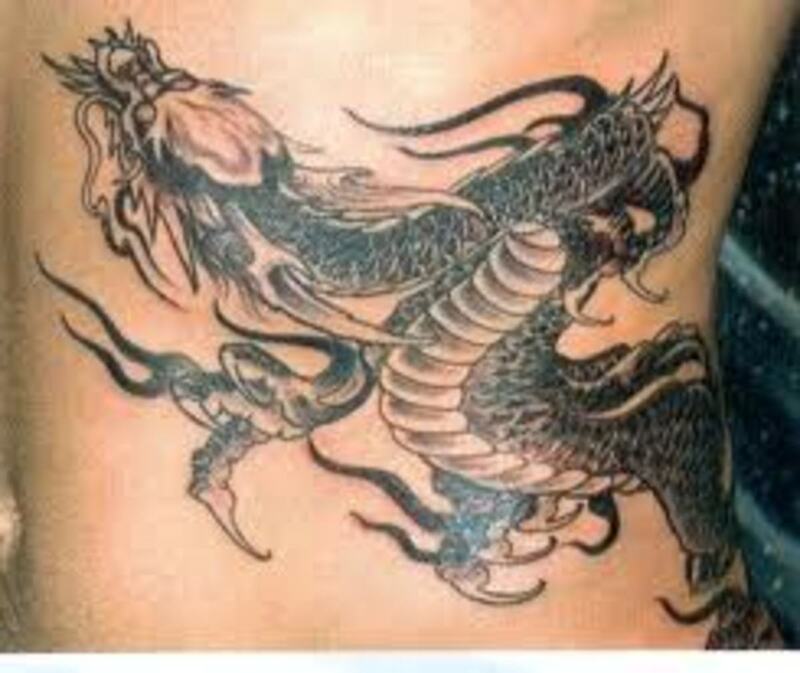 The dragon symbolizes protection, power, and wisdom. Its fearsome and warlike qualities make it a wonderful ally or a fierce enemy. Most people have heard stories about the knight slaying the dragon and winning the love of the princess. 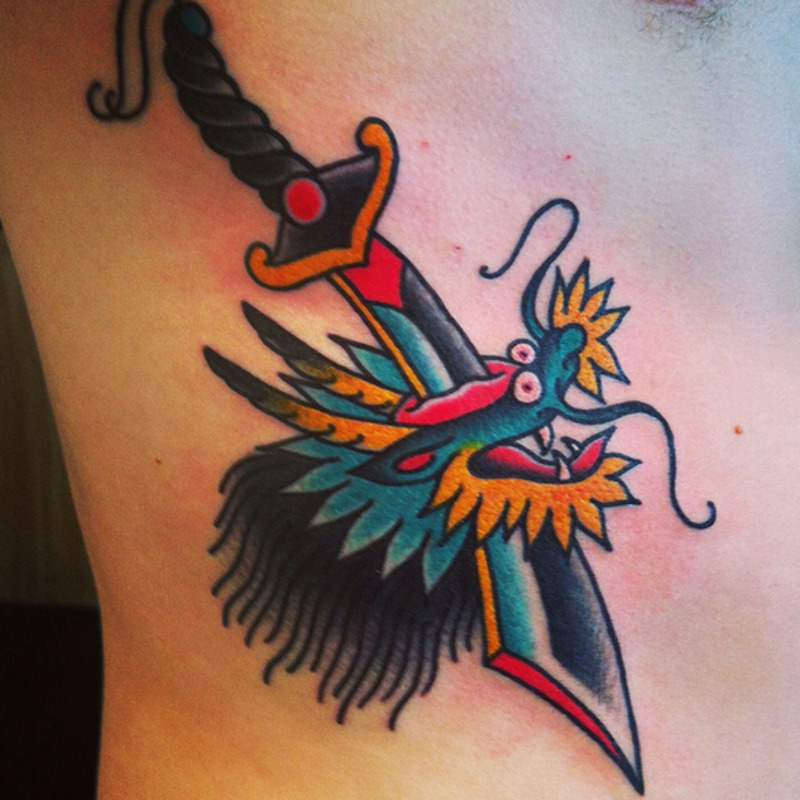 Among many ancient cultures, slaying the dragon is one of the highest honors a person can achieve. Think of the stories of St. George or Beowulf, although in both, the dragon might also represent pre-Christian thought. 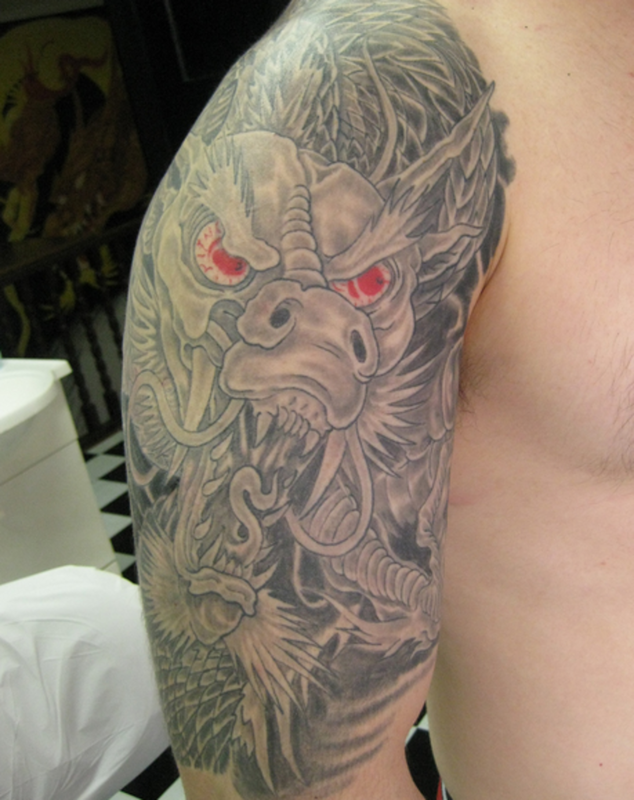 One of the great features about the dragon is that it can be done in a variety of different styles, realistic or abstract, cartoonish or dramatic. 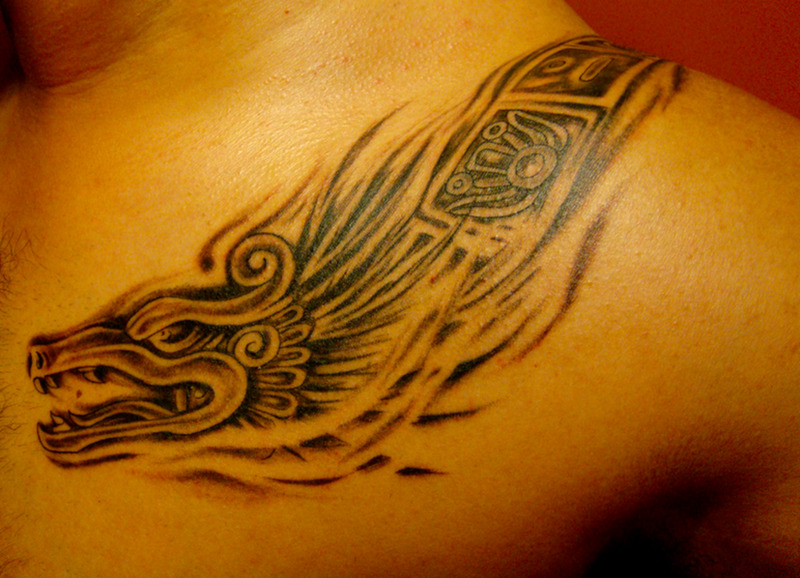 Many are done in solid ink and follow the tribal style of tattooing. 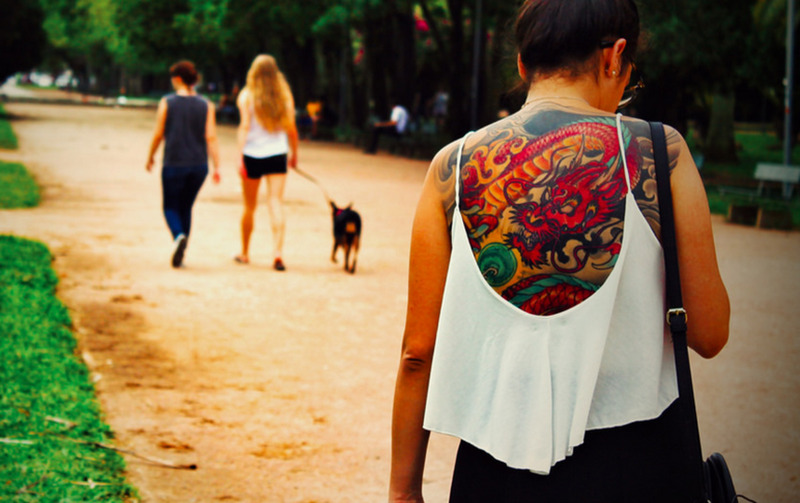 Even so, we are seeing more and more colored tribal tattoos today. 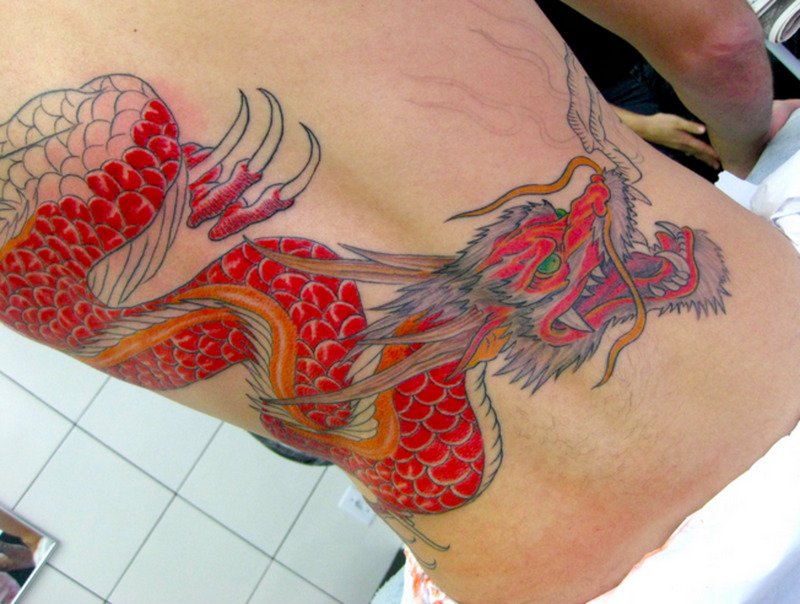 Whether you choose solid black ink or color, the dragon tattoo gives a wide range of options to consider when designing your dragon tattoo. 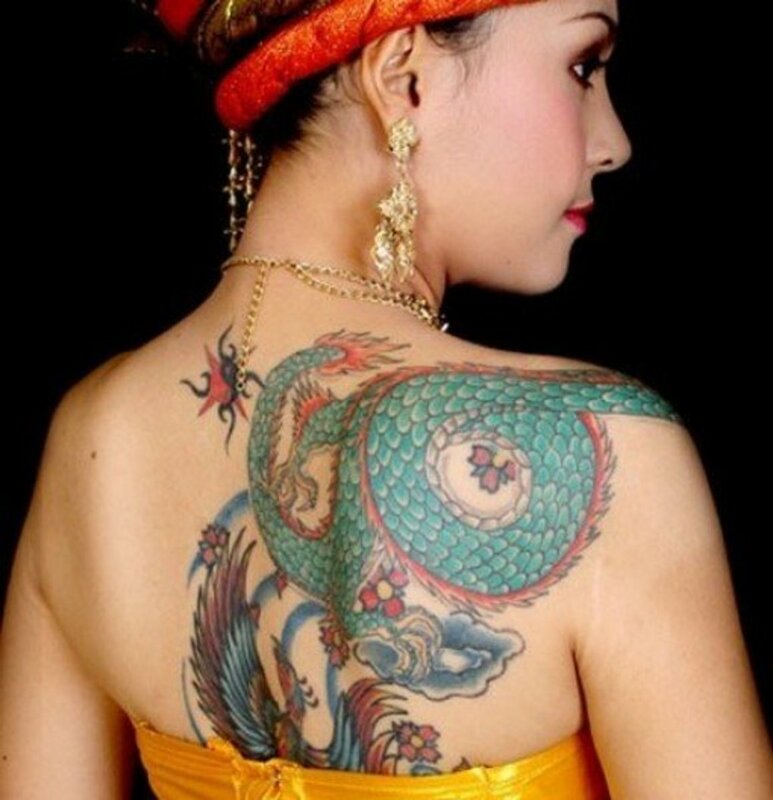 The dragon's shape can be manipulated to fit in a wide variety of different locations on the body, although its most popular placement is on or near the shoulder. 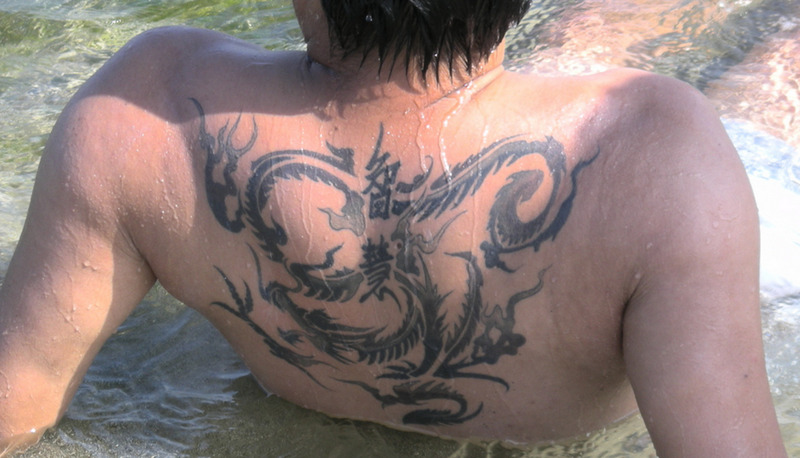 Among the Chinese, it is not unusual to see full body tattoos which incorporate other symbols. 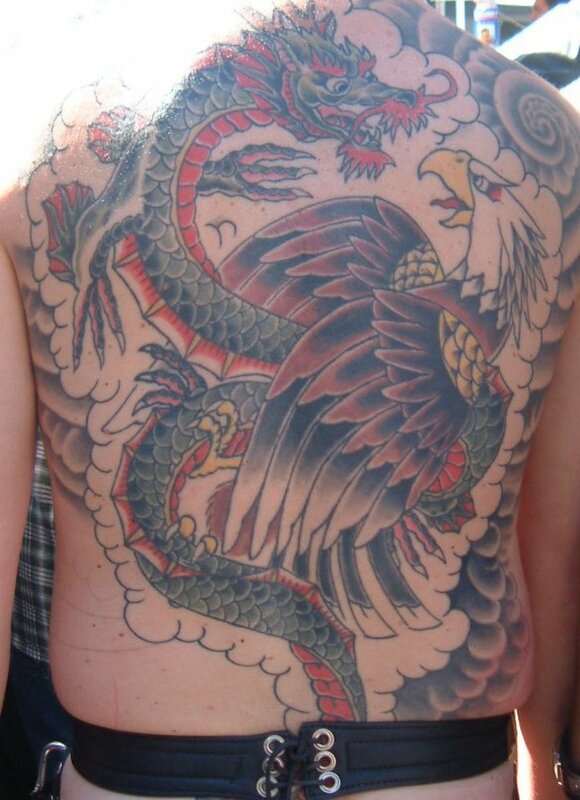 At one time in history, members of the Chinese mafia wore these full body tattoos which became synonymous with criminal conduct and were looked down upon as well as illegal. Nowadays, this criminal association is no longer common. The number nine is a very special number for the Chinese. It is the largest single digit and associated with the dragon. A "nine dragon wall" is a barrier that is often found around imperial Chinese palaces and gardens. Only the most senior officials are allowed to wear the nine dragons on their robes, while other lower-ranking officers wear eight or fewer. 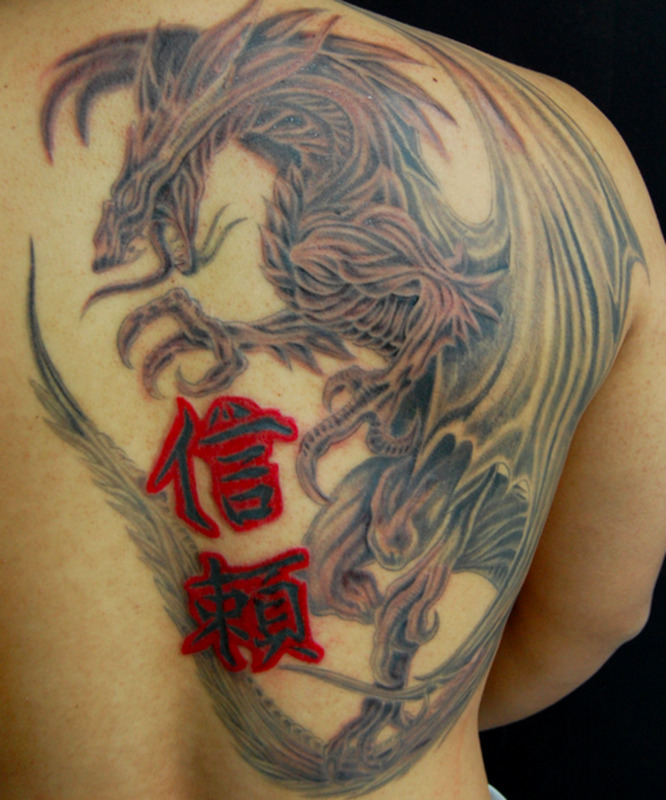 The Asian dragon is one of the most popular mythological creatures picked for tattoo designs. They are a variety of different styles to chose from such as, winged and wingless, with snake-like features such as scales or cartoonish versions, with or without whiskers or horns. The dragon is believed to have the ability to multiply anything that it touches. They can be associated with the heavens or the sea. Japanese dragons are usually slender and wingless and have just three claws, while the Chinese or "celestial kingdom" types have five claws and beards of flames. 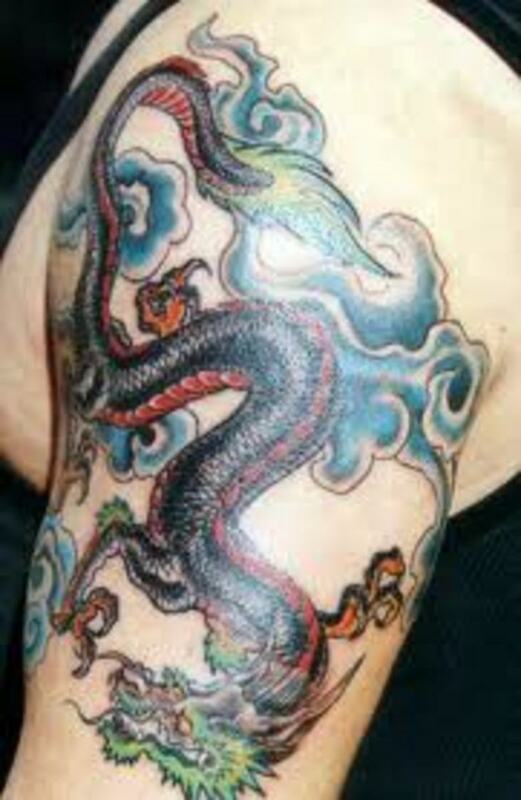 The Asian dragon represents balance. 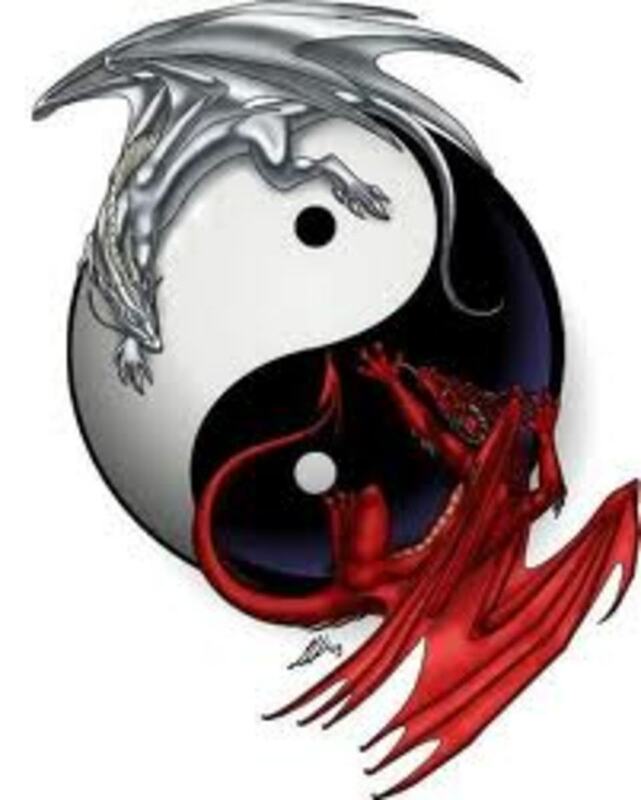 For the Chinese, the dragon represents one half of the yin and yang; the phoenix represents the other half. 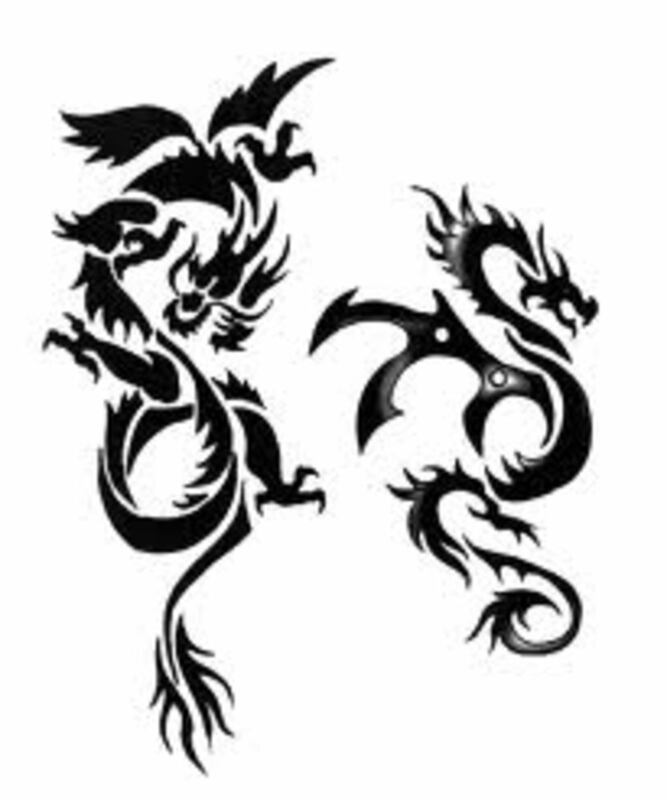 The Chinese believe in finding a perfect balance of yin and yang, and dragons might also symbolize the perfect mixture of good and evil. 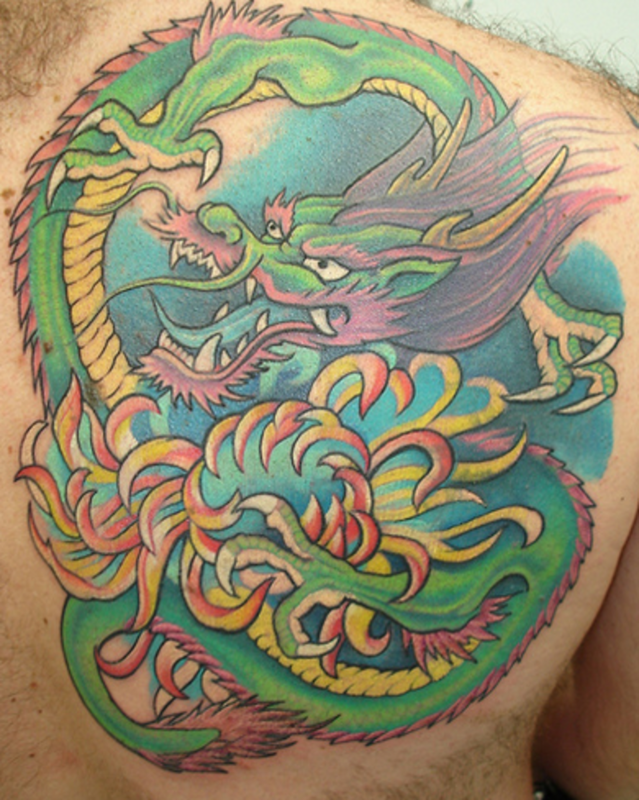 The colorful Japanese dragon, part of their cultural mythology for hundreds of years, represents balance, freedom, and good luck. It also is known to have supernatural powers and wisdom. Many people choose a dragon to represent balance in their life. It is thought that balance is crucial for success. 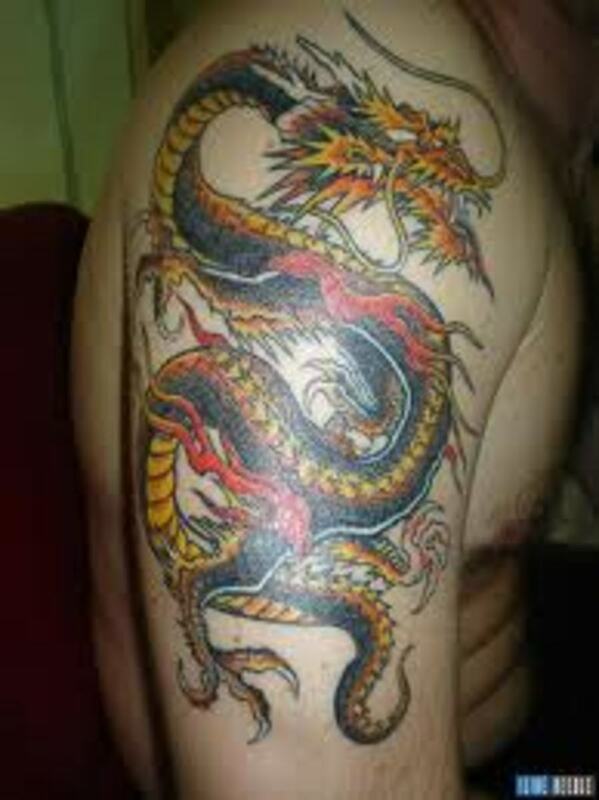 Chinese Dragons symbolize power, strength, and fear. Horned Dragons are known as the top dragons, strongest of all. Celestial Dragons are protectors of the Gods and heavens. Earth Dragons, also found in Chinese astrology, are the kind that rule the earth. Yellow Dragons are hornless and known for their knowledge. Treasure Dragons are the protectors of precious gems and other valuable earthly elements. Spiritual Dragons are in total control of the wind and rain. Coiling Dragons are the ones that live in the oceans. Han-Riu, with stripes all over its body, is one of the biggest dragons with lengths up to forty feet. Kai-Riu, a beautiful red-colored dragon, is usually smaller than the others. Sue-Riu, the king of all dragons, is in control of rain. Ri-Riu is known to be a very rare breed and hard to find. Little is known about it, but it does have amazing eyesight. Hai-Riyo, known as a dragon bird, is one of the most advanced forms of dragons. It evolved out of Chinese mythology. Fuku Riu is the most favored dragon of all, known for good luck. 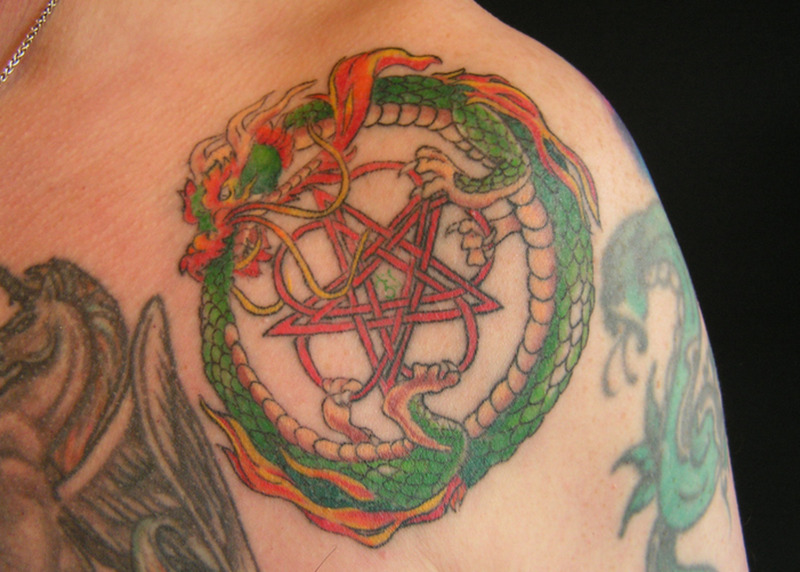 You may or may not have known, but the colors to the dragon also have meanings. Certain colors represent certain attributes. Black means that the parents are old and wise. 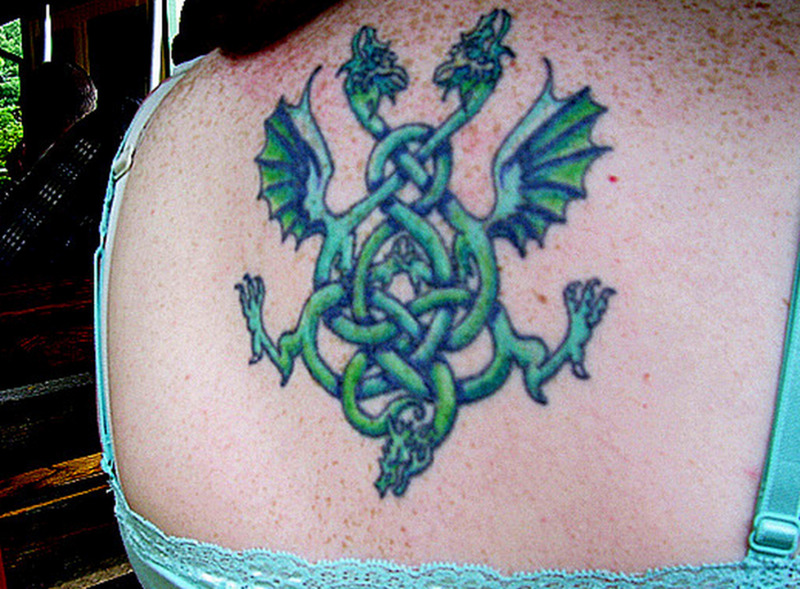 Green is usually associated with smaller dragons. It also represents life and earth. Blue is associated with those from the West and represents laziness, compassion, and forgiveness. Yellow is associated with those from the East and those who are self-centered and helpful. Gold has great attributes, such as wisdom, kindness, and helpfulness. 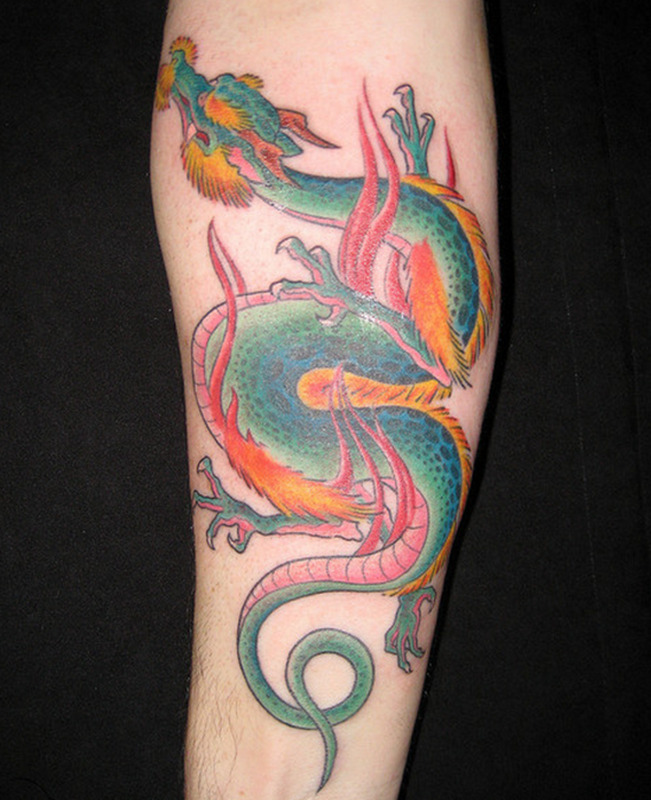 Although certain colors and dragons have certain symbolic meanings, many are chosen just for their design. 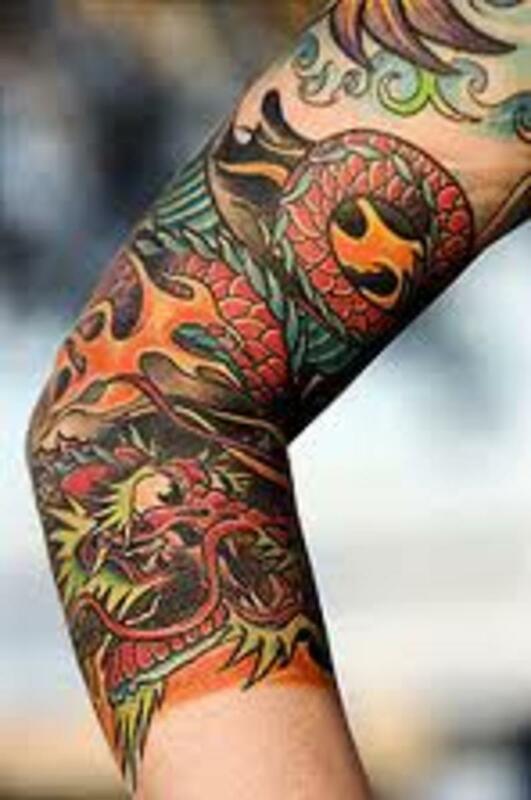 Either way, the Asian dragon makes a great tattoo for anyone and can be mixed with other styles, such as Celtic art and tribal designs. 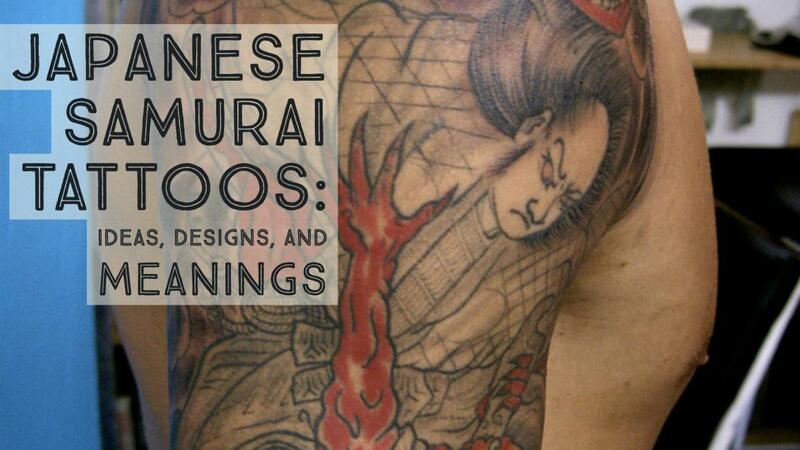 Make sure you take the time to decide carefully on a tattoo and style. Remember that you will likely have this tattoo for the rest of your life. 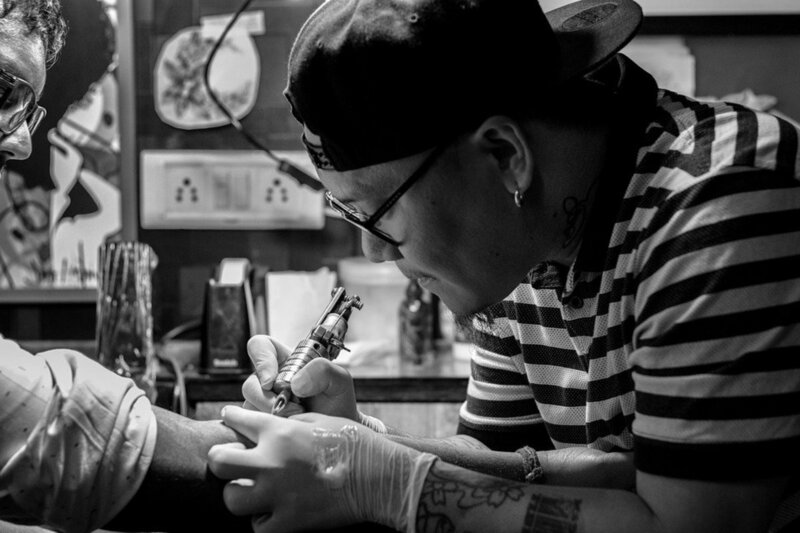 Many tattoos cannot be erased with a laser or other means, so you want to make sure you're completely sure before you get a tattoo. Never get a tattoo on an impulse! You also want to research your tattoo artist as well. If they are legit, they will have no problem showing you their past work and current designs. Ask other customers about their work and do online research if possible. Remember, you'll have this tattoo for the rest of your life. The location of your tattoo is also important. If you work with people, you may want to choose an area that can be covered if need be. The most important thing is to get one that you really, really want. Be sure to check out the other articles in the links below. i want to sharing some using human translation, to demonstrate the accuracy of Chinese Character translation. I have found 1 website for chinese translation service with a reasonable price​. Can master the Chinese Character tattoos, Chinese proverbs, translate from English to Chinese and bring out the meaning to be expressed. Cheer! 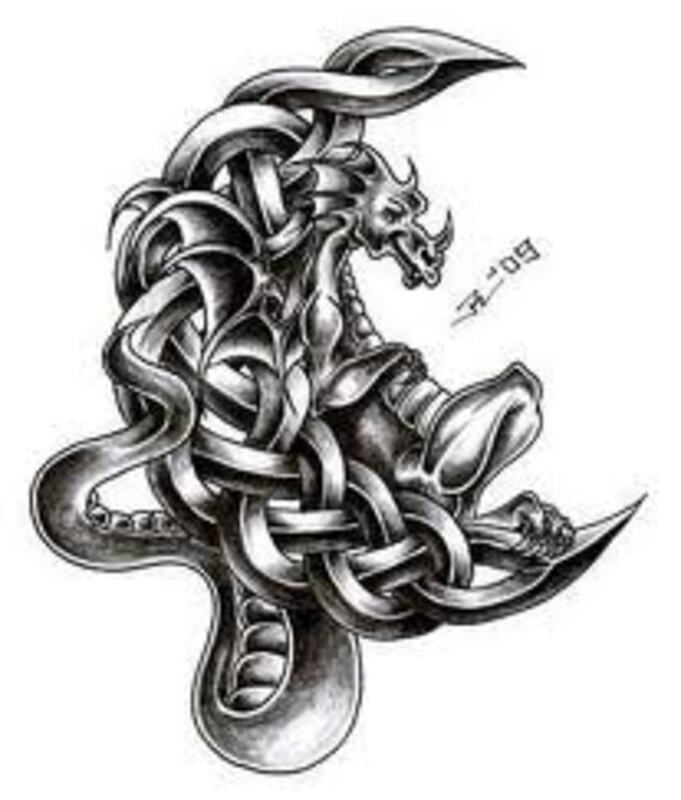 what does the circle of 3 dragons mean, each head in different direction and there bodies and tails all meet in the middle and there all black with white eyes ? 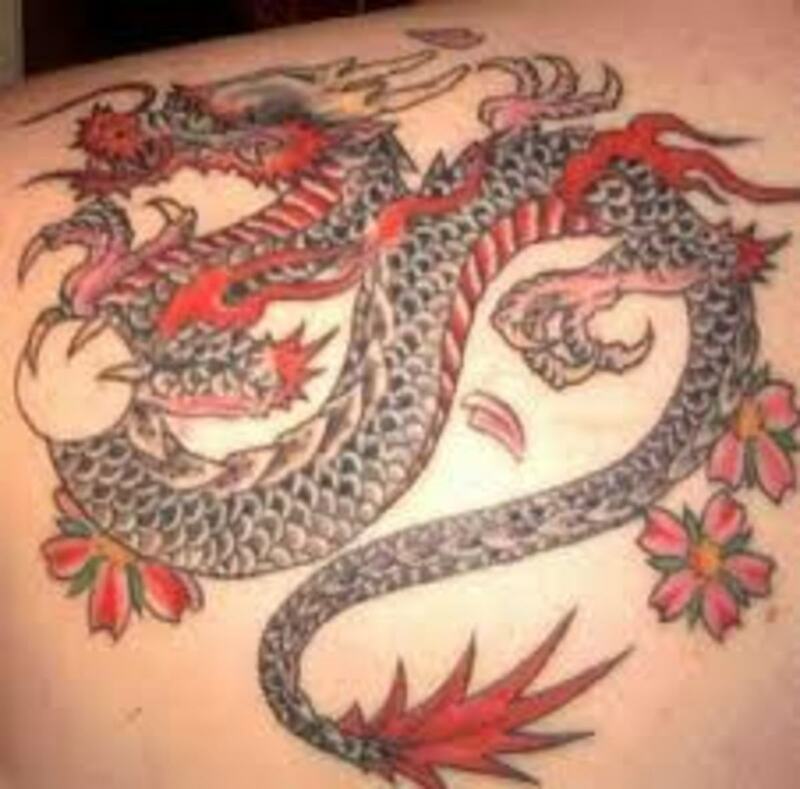 I was born on the year of dragon and so i decided to tattoed it on my leg..it is beautiful but now that i know the meaning..in so glad to had that dragon on my leg. 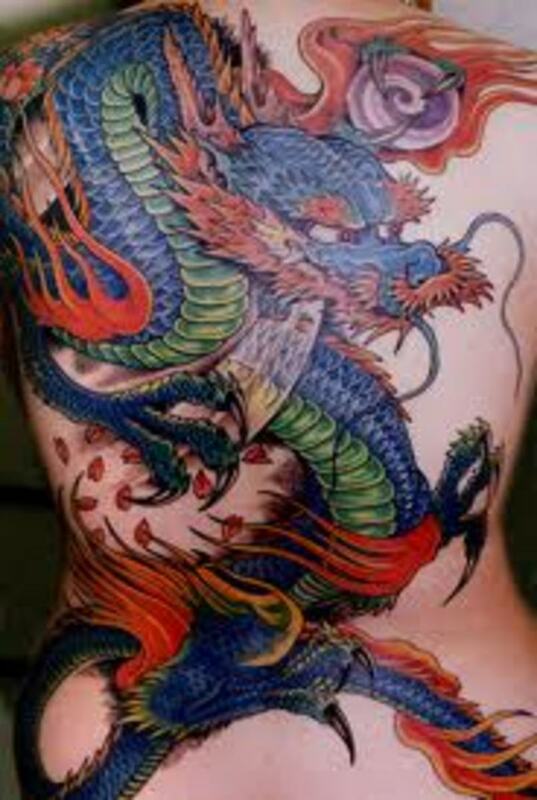 I love dragons, and I have to say that some of the most interesting tattoos I've seen are of this mythical creature. Great hub. Very interesting. Thank you.I'm still thinking. But now I have the meanings. 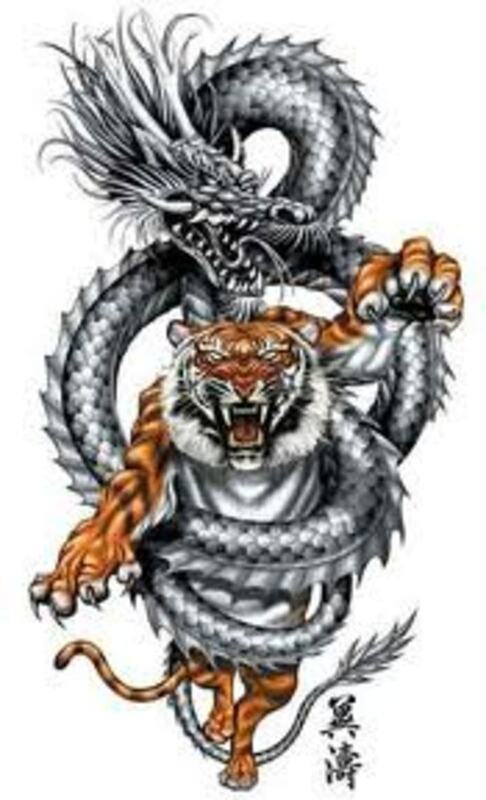 I am getting a Chinese dragon tattoo on my forearm. I chased that china white dragon in the sixties, he caught me 40 years later. After 54 weeks of interferon and ribavirin, I slayed that same dragon. 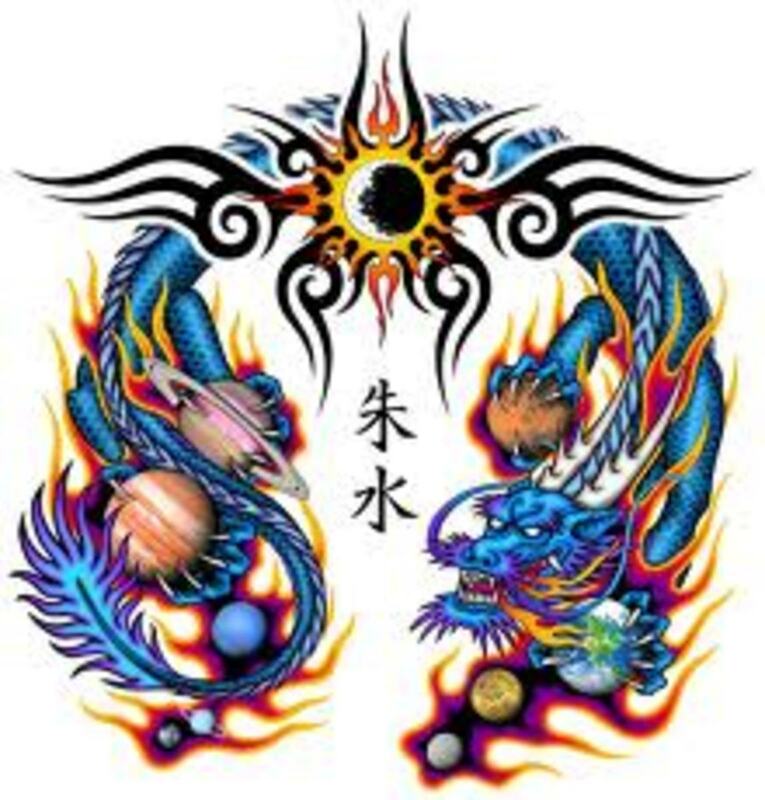 I need a reliable source for the Chinese symbol for dragon warrior. I have found my dragon, but am scared of getting a symbol that eventually turns out to mean Chinese take-out. I found your article helpful for coloring and hope you may have some direction for me. Peter, thanks for taking the time to read this article. I am glad you found it useful and informative. The famous black dragon:) Thanks again and take care. Thank you for a very well researched and informative article. 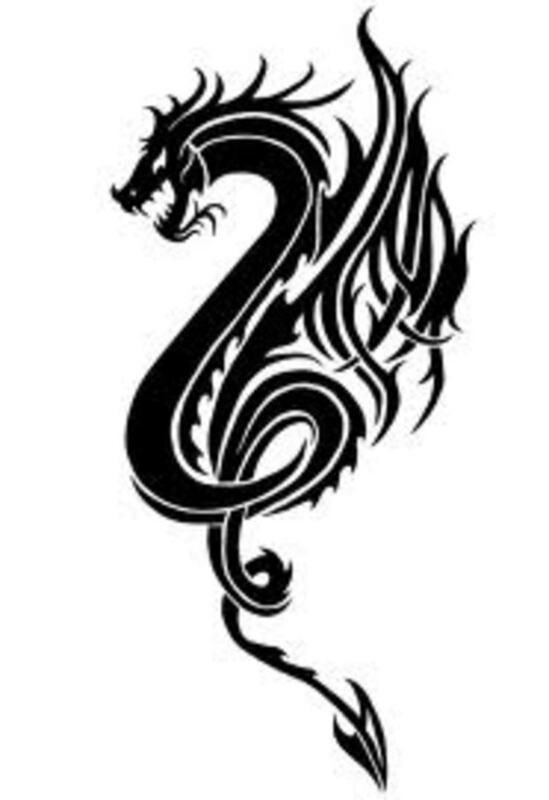 I have a black dragon tattoo on my shoulder from my Royal Navy days and I never did know what it symbolised. Jeannie, it depends what you mean by reprint. If it is to print for personal use, I see no issue. 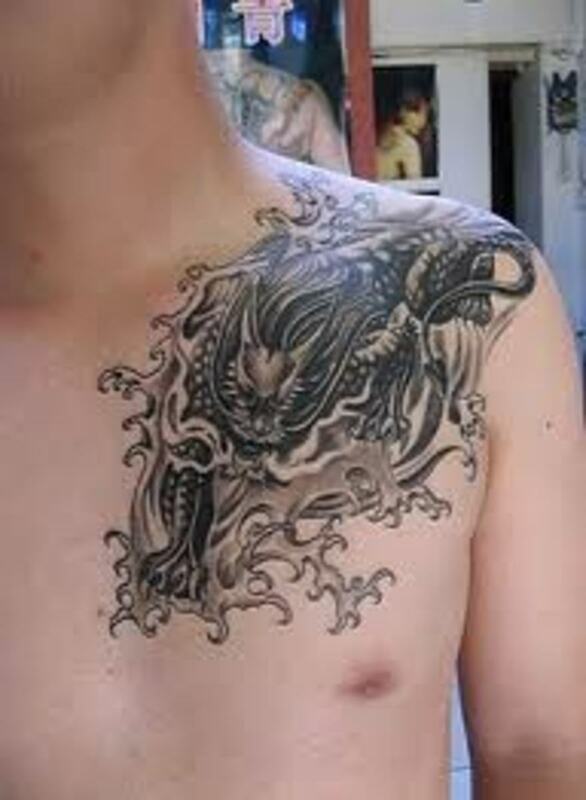 That is using for teaching or tattoo ideas. Being published somewhere else or copied for personal gain, strickly prohibited. This article and all articles of "thelyricwriter" are the property of Hubpages. Is this article available for reprint? Angie, thanks for taking the time to read this article. Glad you liked it. Thanks for your time and comment. Take care. Kelley, thanks for coming by. It would be my pleasure. Your visit is always appreciated. Take care. Very interesting hub. My son loves dragons I'm gonna shoe him all the amazIng pics you have here! Thanks for sharing. Beijing driver, thanks for stopping by to read the article. Feel free to comeback anytime. Take care. Tina, thanks for taking the time to come by and read this article. I am glad you thought highly of it. I appreciate you noticing the hard work. Best wishes and take care. See you around. Homesteadbound, thanks for coming by and for your comment and vote as well. 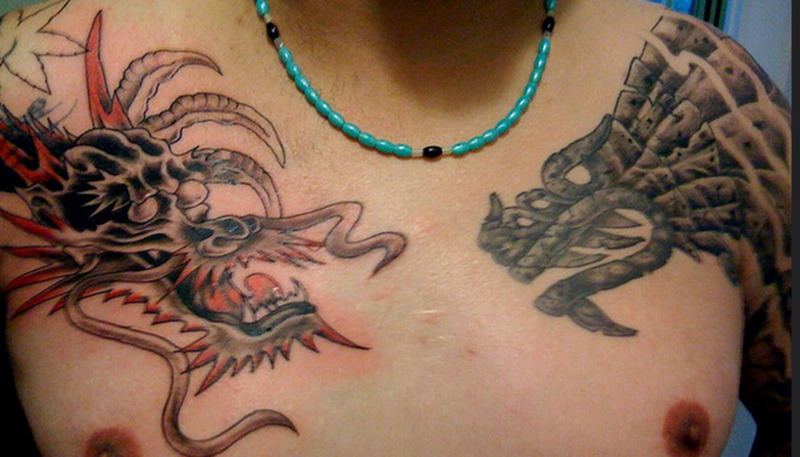 I also like these dragons tattoos. I never knew they had such symbolic meanings as they do. I hope all is well and your enjoying the holidays. Best wishes and take care. It was very interesting to learn about the various dragons and their significance. Some of these tattoos were totally outstanding. I really do like dragons. The colors were really nicely done also. 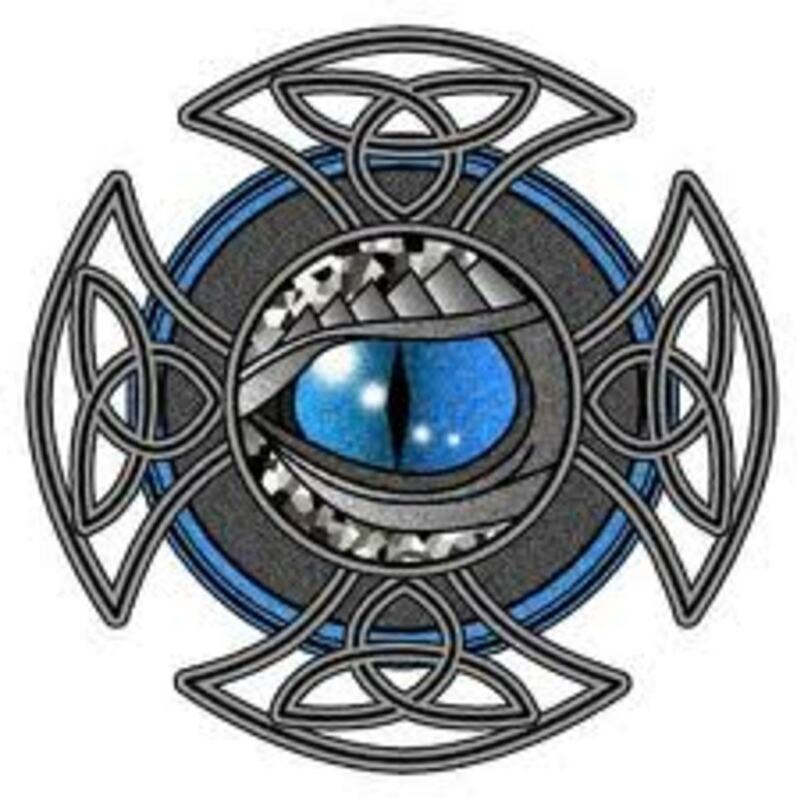 But I did like the simplisticness of the Celtic tattoo also. Voting up! Mary, thanks for taking the time to comment and vote. I really appreciate it dear. Take care and see you soon. MM, thanks for coming by to check it out. I really like these designs and many people don't realize the meaning behind them. I find that interesting. Seems like most things in life have purpose. I appreciate your time, comment, and votes. See you soon. Blaise, thank you so much for taking the time to overlook and read this article. I appreciate your comment very much. Good point as well. I will have to add it. What beautiful designs. I voted this UP,etc. 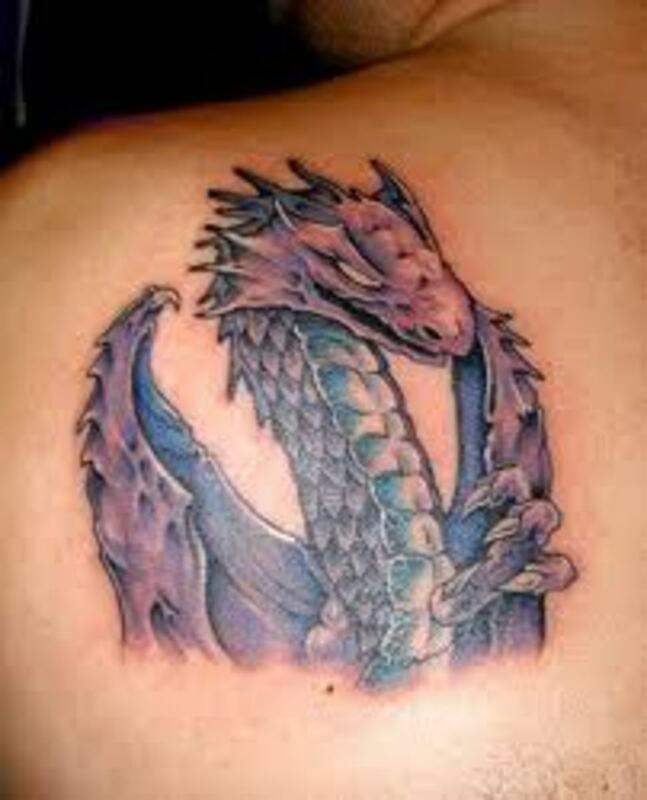 Hi Ricky, you have written some fabulous hubs on tattoos, but these dragons have to be my favourite! Ladyhowto4u, thanks for dropping in to check it out and I am glad you find them interesting. Many people don't realize the meaning behind them and the artistic perspective they give. 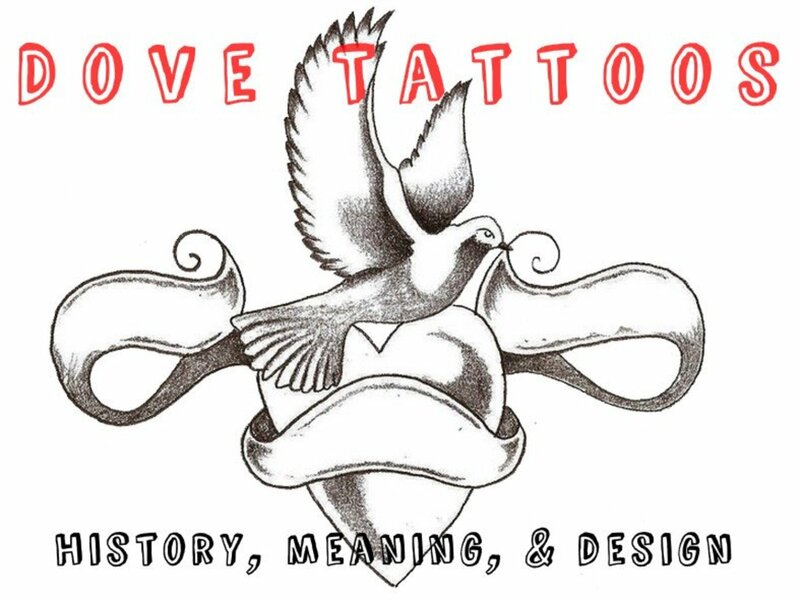 Once I began studying them, I found a whole new level of respect for them and tattoo artist that stay true to their symbolic roots. Glad you enjoyed them. Best wishes. Tatoos are an interesting topic. If they were easily removed, I think I may consider getting one -- but it would have to be a tiny one. Thanks for sharing this information on tatoos. AE, thank you for your comment and time my friend. 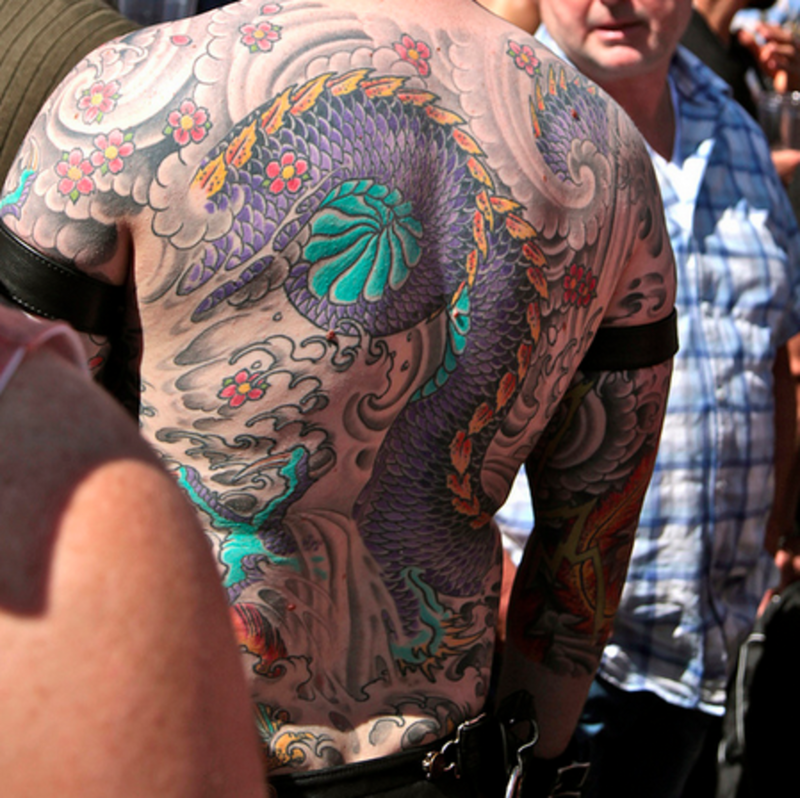 Some of these tattoos are very colorful and cover much of the body. 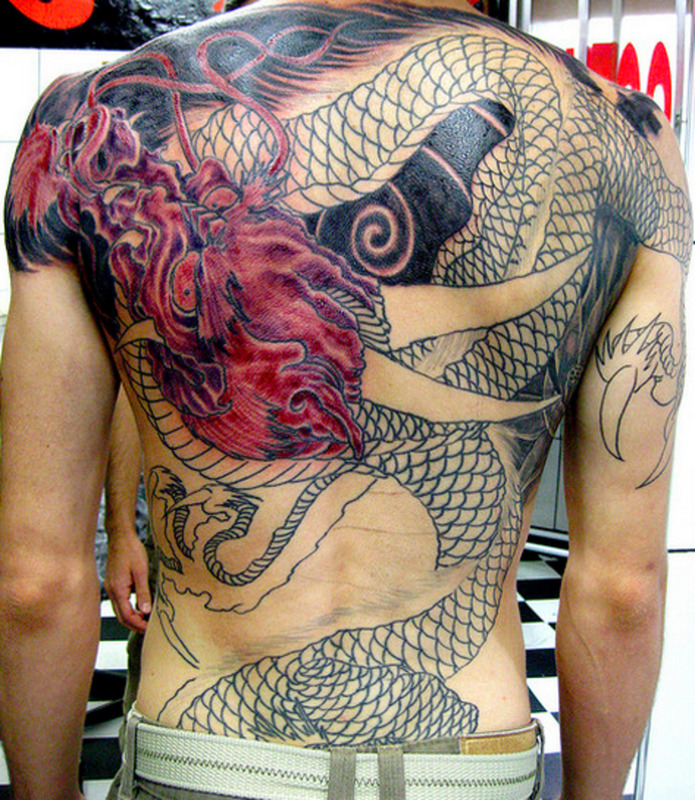 It is remarkable work done by the tattoo artists that perform these tattoos. I am glad you enjoyed the history part of it. Best wishes. Prasetio, thanks for coming by and for adding a comment. I am glad you enjoyed it my friend. Thanks for the votes as well. 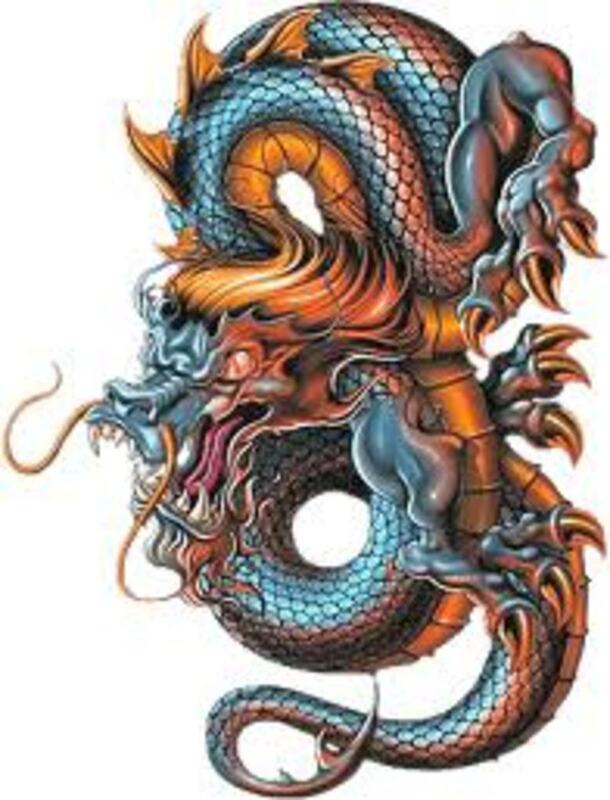 The dragon has many different meanings and I find it interesting how it is looked at by all these different cultures and in the tattoo world. I have no desire for a tattoo now, at one time i wanted a tiny rose on the ankle, just never had the courage to do it, but they are beautiful, such vivid colors. Thank you. 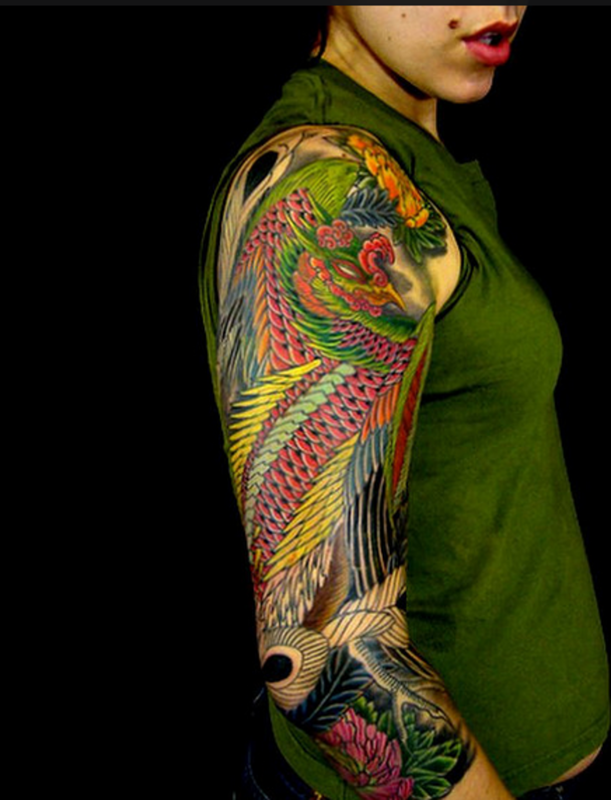 Very interesting the history of tattooing..
Wow....this was beautiful art for me. Thank you very much for share with us. 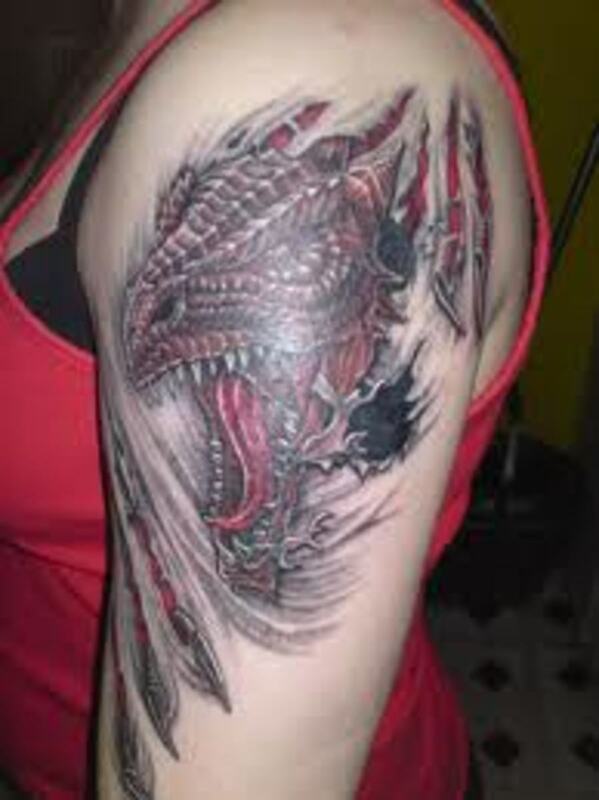 We need a tattoo expert to make beautiful dragon picture like this one. Rated up! Eddy, thanks for coming by to read this article and good morning. I remember you saying that. I believe, if you really want it, go for it. Hopefully you will find that motivation to get one. I know life can keep a person busy year round. Once again thanks and best wishes. Thank you so much for sharing this one, I love it. 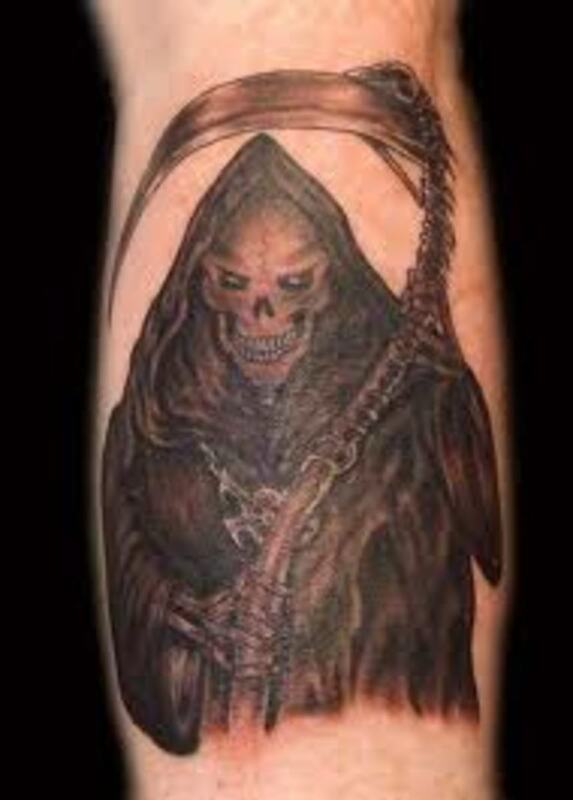 For the past two years or so I have been meaning to get a tattoo but just haven't got round to it. Maybe this great hub will motivate me. Gypsy, thanks for coming by to check it out. I surely do appreciate your time and comment:) Have a good one. Love those crazy tattoos. Especially the various colors and those dragons are great. Super interesting hub.